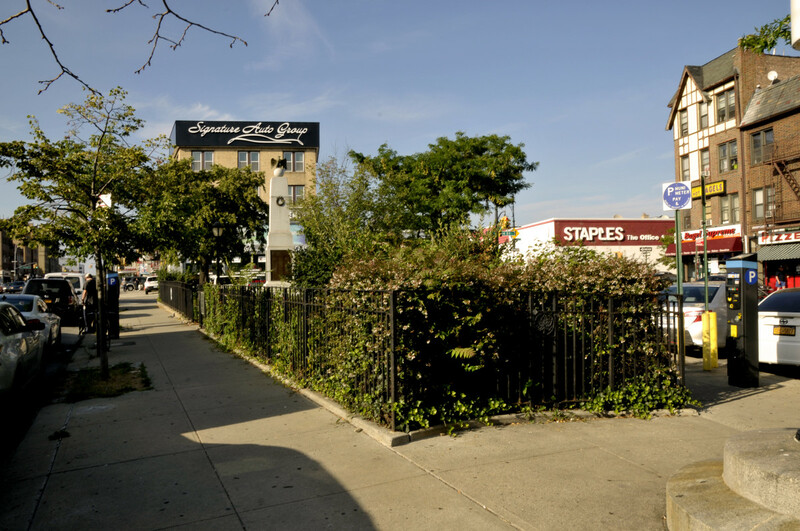 The triangle park is a curious urban accident: when grid-abandoning thoroughfares inevitably intersect at nonrectilinear angles, they often leave awkwardly three-sided plots of land unfit for development, at least in an outerborough suburb like Bay Ridge. (In Manhattan, they might instead build an impossible skyscraper, like the Flatiron Building; every square inch there is worth big bucks.) 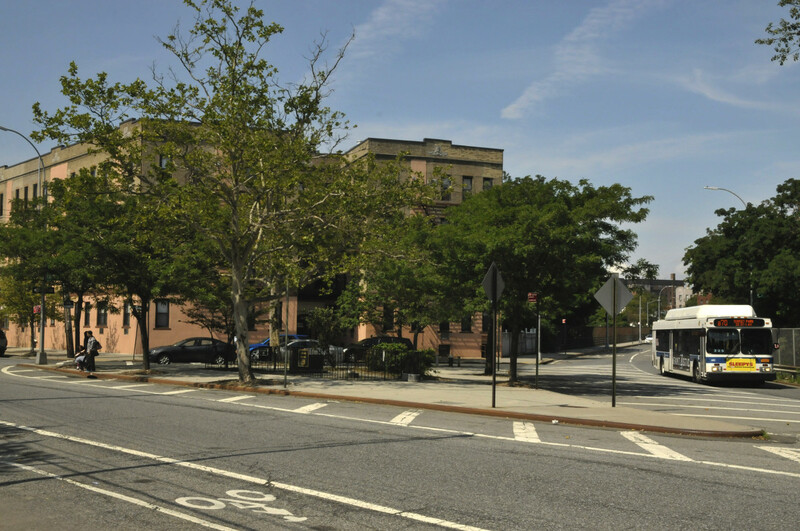 Because Bay Ridge is at the borough’s southwestern end, where many interneighborhood roads go to die, it has several spots where major avenues cross at less than 90-degree angles, creating greenspaceable lots: where Sixth Avenue rams into Fort Hamilton Parkway, where Fifth Avenue deadends into Fourth Avenue, and where Seventh Avenue decussates Fort Hamilton Parkway, across the highway in Dykerish Heights. There’s also the odd intersection of Third Avenue and Senator Street, where dismantled, old-world infrastructure left a space perfect for parkification, and a bottle-shaped piece of a larger park created by the division of a once-grand parkway. 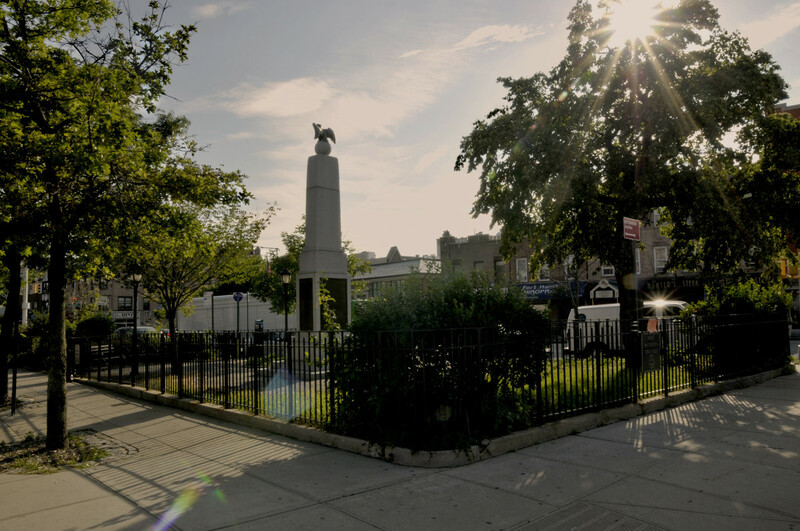 Fort Hamilton lends its name to streets, parks and high schools all over Bay Ridge, including the triangle park at the intersection of Fourth and Fifth avenues at 95th Street, which is dedicated to local soldiers who died in World War II World War I. “It’s the crown-jewel of Bay Ridge triangles,” our photographer Michael Gaffey said after we sent him out to photograph them all. 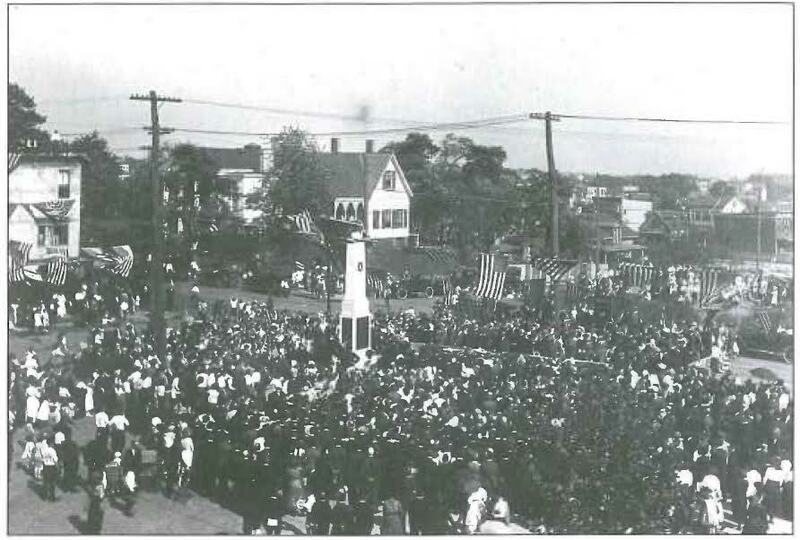 The city acquired the parkland in 1909 and transferred it to the parks department seven years later; the year after, 1917, it erected the memorial monument, an eagle-topped obelisk, which was officially dedicated in 1920. 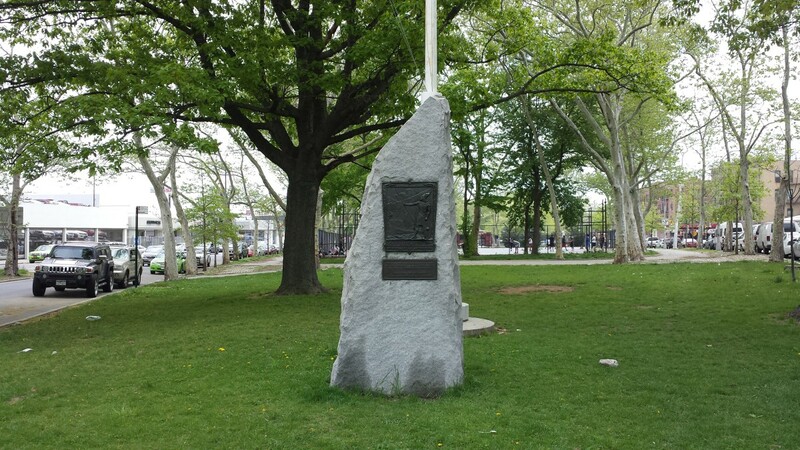 In 1921 the park was named Fort Hamilton Memorial Park, confusingly similar to Fort Hamilton Park, the then-official name of Cannonball Park (whose official name is now John Paul Jones Park). 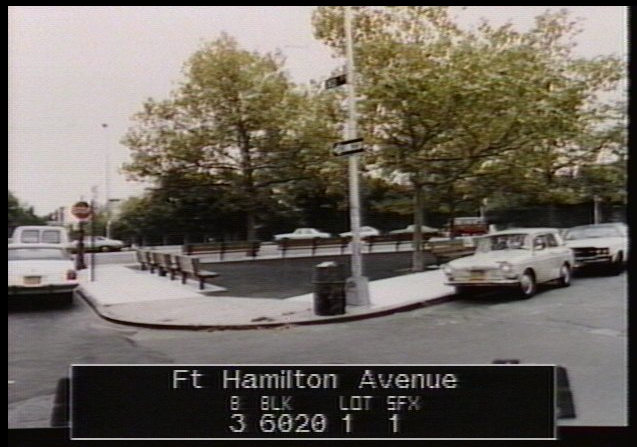 More than 75 years later, in 1998, FHMP was renovated and received a new name: Fort Hamilton Plaza. Many residents, though, still just call it Pigeon Park, its official unofficial-name since 1986, according to the parks department. It’s still a favorite spot of pigeons, as well as the homeless, or it was; it’s often kept locked now, to discourage loitering. It also sports the neighborhood’s southernmost welcome sign. When I was a teenager, ca. the turn of the millennium, this park was surrounded by tall wrought-iron fencing, which for some reason made it a preferred spot for local homeless people; there was also another Welcome to Bay Ridge sign here, the antipodal correspondent of the one standing in front of Fort Hamilton Triangle, though at some point it was stolen or removed, as was the fencing (likely removed, not stolen), and without the cage-like safety (or perhaps with some police persuasion; who knows? ), many of the homeless left, although there’s often a homeless couple in Steadman Square these days, a man named Chris and his wife, whom our photographer Michael Gaffey spoke to. Chris said he used to work for Greenstreets, Gaffey told us. Chris keeps a broom there and tries to keep Steadman looking sharp. The name comes from Monsignor Joseph F. Stedman, a right reverend who was chaplain of the Monastery of the Most Precious Blood, on Fort Hamilton Parkway and 54th Street. He was something of a Roman Catholic celebrity: his missals, most famously My Sunday Missal, were used around the world and sold 13 million copies. He died of a brain tumor in 1946, at the age of 50. This seems a weird and sort of ignoble way to remember him; personally, I recommend we rename this property after local novelist Gilbert Sorrentino, who grew up up the block and deserves to be remembered and celebrated by his community—and the grimier the remembrance, the better; let’s give Stedman another honor, one that maybe even spells his name right (no A, parks department! ): perhaps renaming the stretch of 54th Street that abuts the monastery after him, or developing the vacant cornerlot across the street into a community garden in his honor. 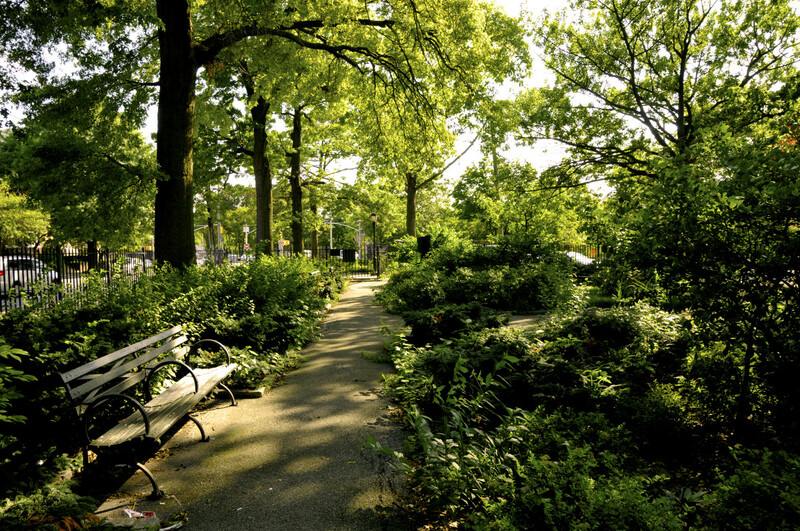 The subsequent parks-committee report expands upon this. “There were occasions when he was a very vocal ‘Devil’s Advocate,’ and there were also many times when he awakened the conscience of the entire Community,” according to the report. “Judge Christopher Mega offered some interesting background on Tom’s life and his involvement with him during the years. As a matter of fact almost everyone present had an amusing anecdote to relate about Tom,” although none of these anecdotes were recorded. Tom McDonald Triangle, before it was so named, on the 1964 tax map. Via the department of finance. 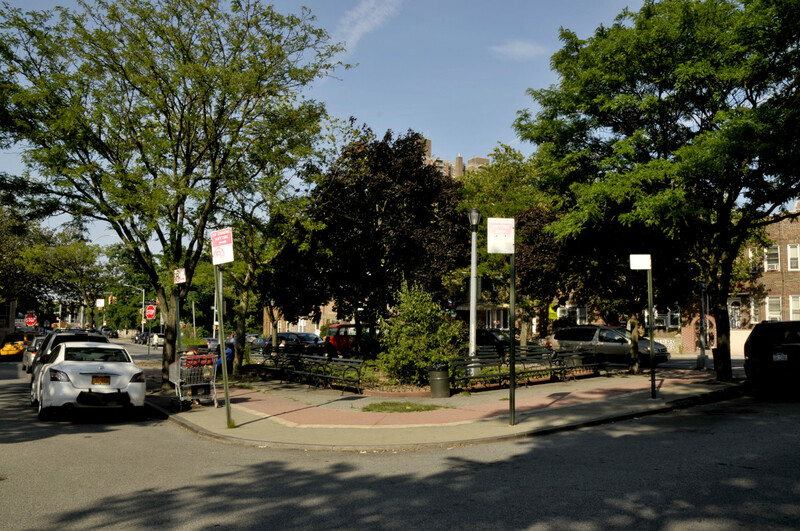 Triangle Park is the old neighborhood name of a piece of Leif Ericson Park, where the old Bay Ridge Parkway splits into 66th and 67th streets. 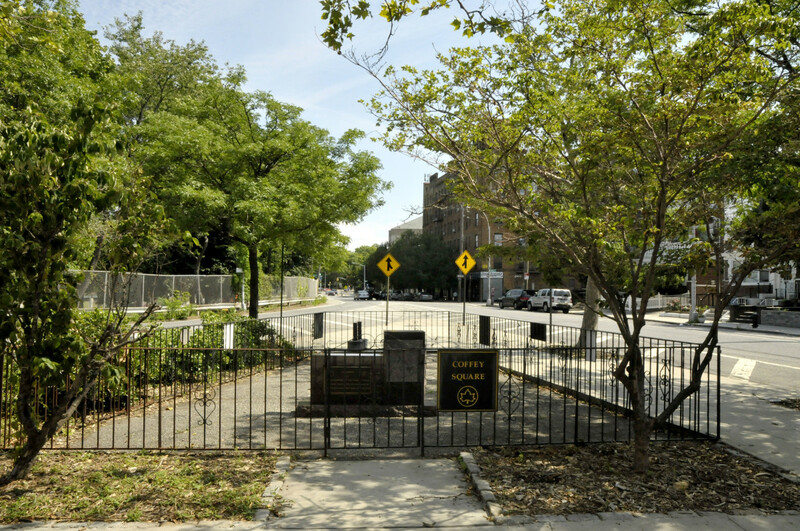 Before it was the name of the 75th Street, the Bay Ridge Parkway was the name of what was envisioned as an epic greenway circumventing the whole neighborhood, here as a winding drive leading to Owl’s Head Park (then the Bliss Estate); it has since been repurposed as an entrance/exit for the Gowanus and Belt Parkway. Read an extensive history here. Near the vertex angle sits a stone monument to the explorer from whom the park takes its name, the memorable subject of Chapter 39 in Gilbert Sorrentino’s novel Crystal Vision, which opens: “It happened, Richie says, that a group of civic-minded, proud, and patriotic Norwegian–Americans decided to a place a stone—a huge, rugged piece of granite about twelve feet tall—in the middle of the lawn in Triangle Park. It’s still there, but this is the story behind it that I heard.” What follows is an apocryphal tale of a rich Norwegian–American who tried to replace the stone with a statue; it’s based on the Knight of Cups Tarot card, as all the book’s stories are inspired by one of the 78 in that deck—here, the Ericson statue’s sword is replaced with a can of Pabst, heh. Just on the other side of the highway, in Dykerish Heights, lie several triangle parks, from the recently reopened Dyker Heights Dog Run (aka the northwesternmost corner of the Golf Course, formed by the 45ish-degree angle formed by the decussation of Seventh Avenue and 86th Street) to the charming little Greenstreets lot across from the Americana, where Seventh Avenue splits in two, bisected by 66th Street. 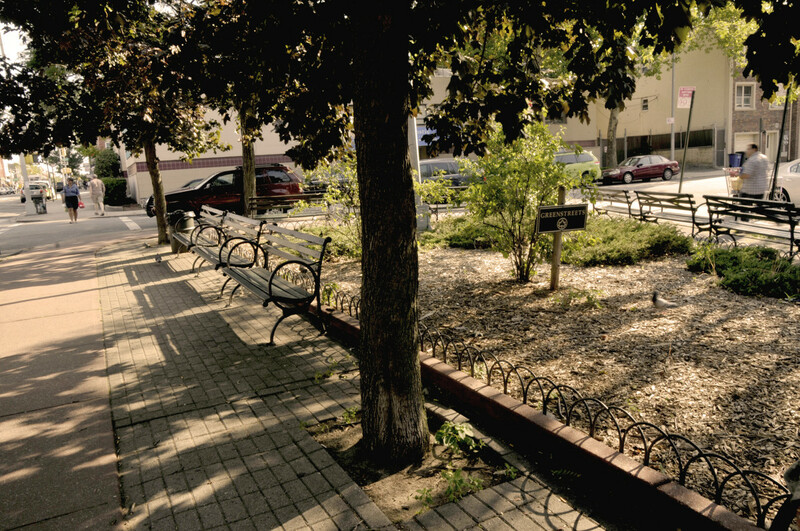 But the prettiest of the bunch is Kathy Reilly Triangle, the southernmost tip of McKinley Park—at 78th Street—named after a beloved civil servant and civic volunteer. Well, the triangle itself is fine, a little overgrown and unremarkable, but the fenced-off section behind it is paricularly lovely. Though existing signage would suggest it’s also part of Kathy Reilly Triangle, this larger space is also sometimes called McDonald Square, after Harold P. McDonald, a likable WWI veteran who died in 1934, so distressing his American Legion friends that they petitioned to have the square named after their friend, which the city council granted three years later. 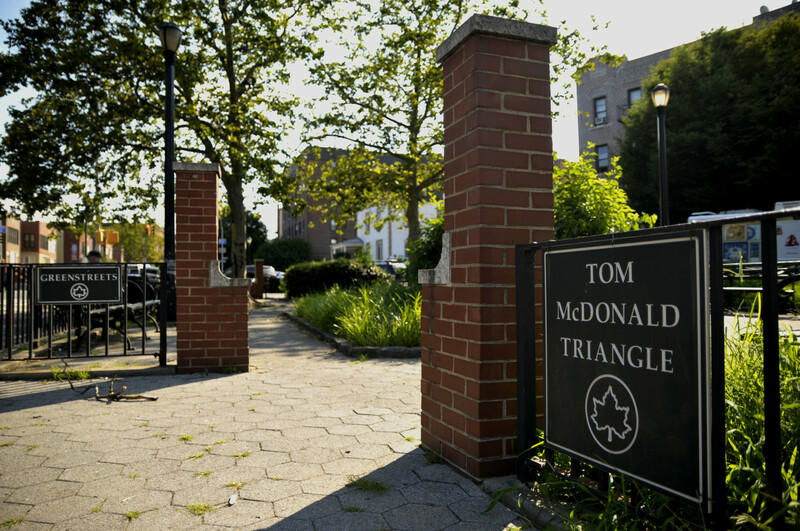 He was first the namesake of a McDonald Triangle, at 79th Street, which was demolished during construction of the Gowanus Expressway/Verrazano Bridge approach in the 1960s—not to be confused with the McDonald Triangle that still exists, discussed above, named after Tom McDonald in 1994. I found no indication they were related. 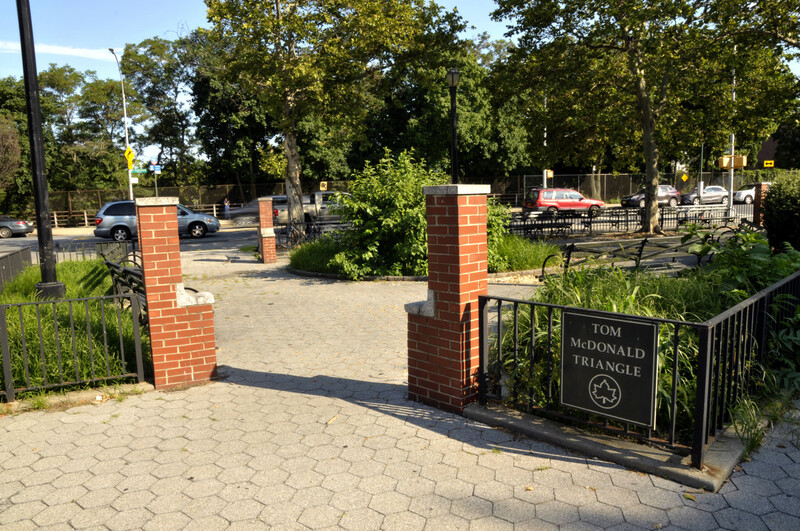 The rest of McKinley Park south of 75th Street is named after Father Richard A. Kennedy and Monsignor Edward J. Sweeney, pastors at St. Ephrem’s (at the intersection of Bay Ridge and Fort Hamilton parkways). 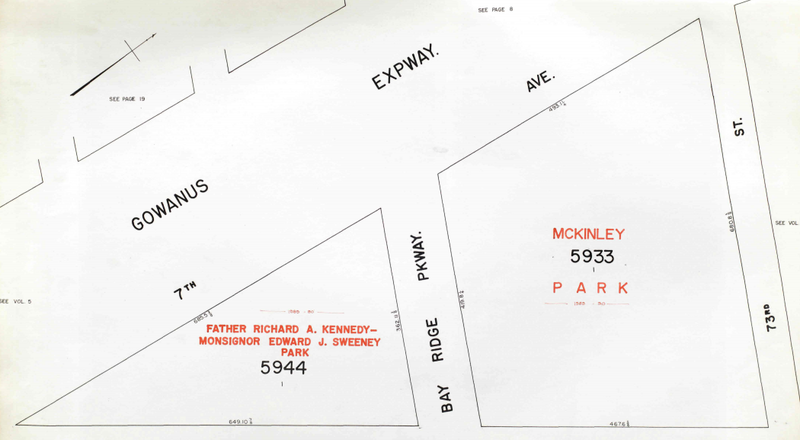 At times the entirety of the park south of 75th Street, essentially a giant triangle park, is called Father Richard A. Kennedy–Monsignor Edward J. Sweeney Park, as in the 1964 tax map below. McKinley Park on the 1964 tax map. Via department of finance. 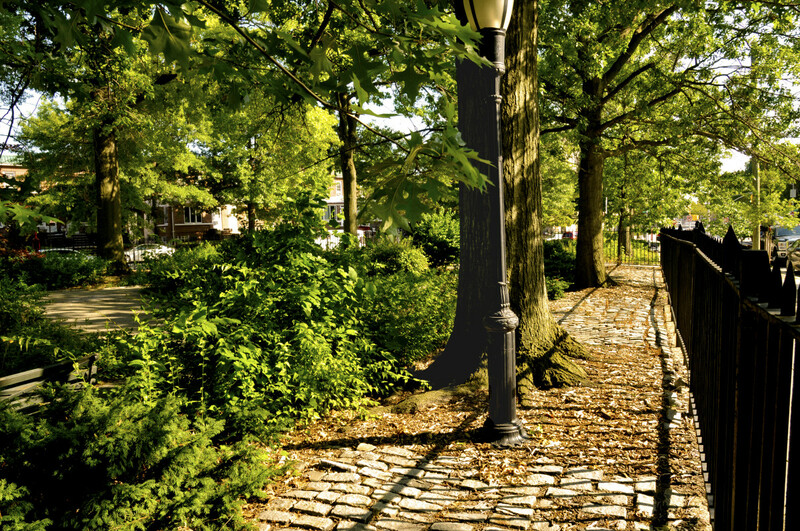 Perhaps the Dykerish triangle park that best captures the true serendipitous, accidental, nonspectacular nature of the form is Coffey Square, a kind of crosshighway corrolary to Tom McDonald Triangle and just a monument away from being a mere traffic median. That said, “Coffey [Square] has a subtle dignity to it,” Gaffey says. If you do carefully cross the street here, at the non-Ridge end of the 81st Street overpass, you’ll find a little bit of vegetation and two small stone slabs, one of which bears a relief carving of the flag-raising at Iwo Jima, the other a message: “In memory of those members of our armed forces who gave their lives for our country[.] These dead shall not have died in vain.” Presumably they won’t be forgotten, either, unlike this lovely little tribute to them.